Below you fill find all funeral homes and cemeteries in or near Pasadena. Suburbs of Pasadena: Lake Shore, Riviera Beach, Millersville. Pasadena is also known as: Pasadena Manor, Pasadena Manor, Maryland, and Anne Arundel County / Pasadena CDP. Zip codes in the city: 21122, 21123. Some of the notable people born here have been: Chorye Spoone (baseball player), , and Mike Newton (american football player). It was disclosed on January 20th, 2019 that Rose M Nolan (Doucet) died in Pasadena, Maryland. Ms. Nolan was 88 years old and was born in New York City, NY. Send flowers to share your condolences and honor Rose M's life. It was reported on June 2nd, 2018 that Arlene Delores Mangae (Jones) died in Pasadena, Maryland. Ms. Mangae was 67 years old and was born in Roanoke, VA. Send flowers to express your sympathy and honor Arlene Delores's life. It was written on October 11th, 2017 that Helen Wolfe (Hinkle) passed away in Pasadena, Maryland. Ms. Wolfe was 78 years old and was born in Alleghany Co, VA. Send flowers to share your condolences and honor Helen's life. It was noted on February 19th, 2017 that Dale Lee Rather died in Pasadena, Maryland. Rather was 90 years old and was born in Wichita, KS. Send flowers to share your condolences and honor Dale Lee's life. It was disclosed on July 3rd, 2015 that Suzanne Trice (Derzay) passed on in Pasadena, Maryland. Ms. Trice was 76 years old and was born in San Francisco, CA. Send flowers to share your condolences and honor Suzanne's life. It was disclosed on March 16th, 2014 that Mary Frances Neal passed away in Pasadena, Maryland. Neal was 94 years old. Send flowers to express your sympathy and honor Mary Frances's life. It was revealed on February 5th, 2014 that John G Spellman passed on in Pasadena, Maryland. Spellman was 84 years old and was born in Norwich, CT. Send flowers to express your sorrow and honor John G's life. It was disclosed on August 16th, 2013 that Claudia Korrot (Rene) perished in Pasadena, Maryland. Ms. Korrot was 64 years old. Send flowers to express your sorrow and honor Claudia's life. It was disclosed by The Capital on September 19th, 2012 that David William Michael perished in Pasadena, Maryland. Michael was 70 years old. Send flowers to express your sympathy and honor David William's life. It was disclosed by The Capital on September 13th, 2012 that Loretta J Mills (Vestal) passed away in Pasadena, Maryland. Send flowers to express your sorrow and honor Loretta J's life. 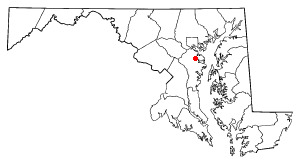 Pasadena is a census-designated place (CDP) in Anne Arundel County, Maryland Arundel County, Maryland, United States. The population was 12,093 at the 2000 United States Census census. . . .
5 years after bombarding comet, NASA craft flies by a 2nd one; aim is to see how comets differ PASADENA, Calif ... of the University of Maryland, said at a post-mission news conference. "The engineers did a fantastic job of getting us data. Funerals in Pasadena, MD on Yahoo! Local Get Ratings & Reviews on Funerals with Photos, Maps, Driving Directions and more. Listing all funeral homes in Pasadena, Maryland so you can easily send flowers to any location (same day delivery) or find any funeral service. We work with local florists and flower shops to offer same day delivery. You will find budget sympathy flowers in Pasadena here. Our funeral flowers are cheap in price but not in value.